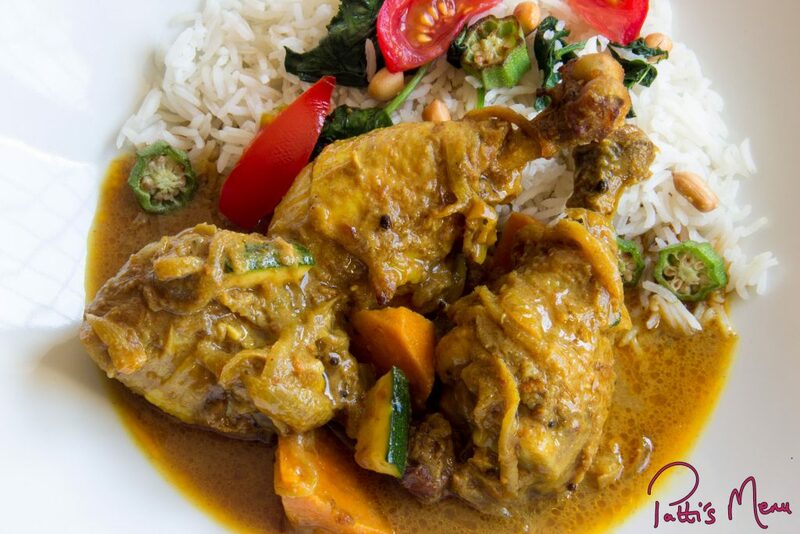 Curries, casseroles, tagines, stews, what have they got in common?… flavours kicking and screaming from one pot! 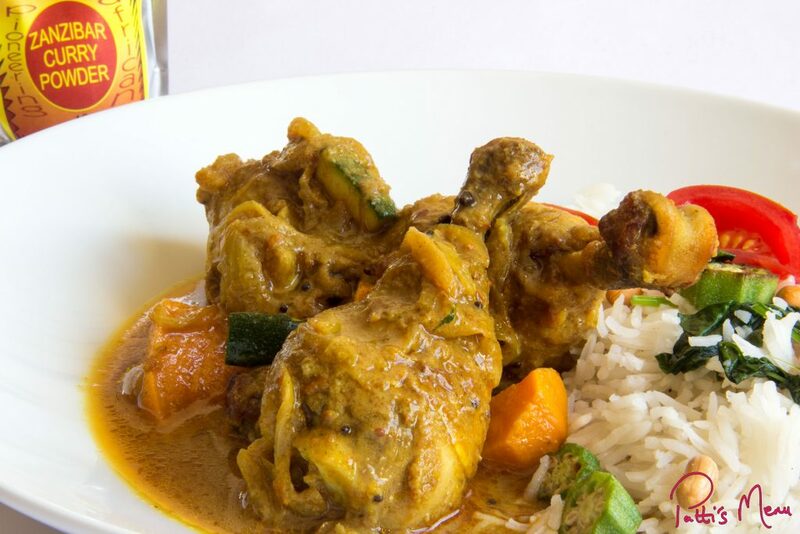 This weekend I’ve enjoyed chicken curry with Zanzibar Curry Powder from Seasoned Pioneers, the aroma in the house was heaven! The smell seduced my son away from his laptop to find out what was cooking! I had to admire his impatience, or patience, as he waited for me to take some pics (if that makes any sense). 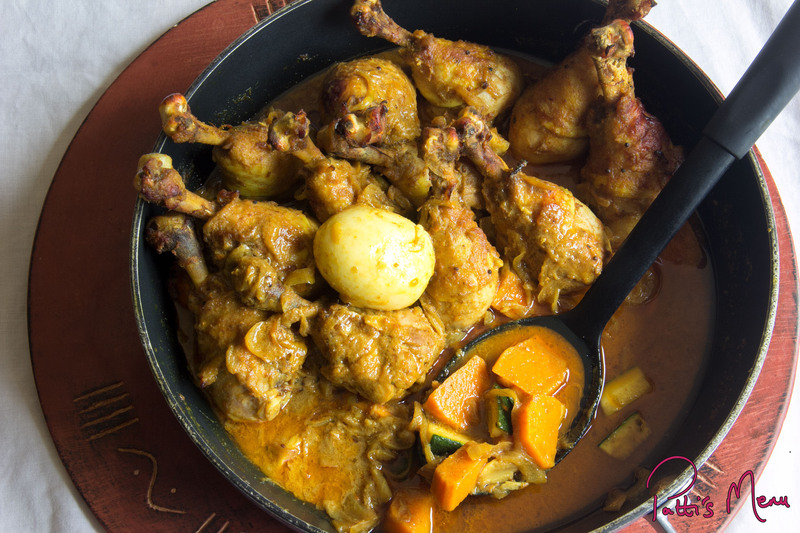 After a heaped serving, he packed away the rest for his breakfast the next day … yes, Chicken Zanzibar Curry for breakfast!! I managed to save a couple of pieces for a tasty, juicy sandwich later! Blend the onions, garlic and ginger into a paste and set aside. Once the mustard seeds start to pop, add the blended onion paste and fry. When the onion mix is lightly golden, add the Zanzibar curry powder and stir until fragrant. Lower the chicken pieces in batches into the pan to coat and brown on both sides. Pour in the coconut milk, add the chilli and leave to simmer for 10 minutes. Stir in the vegetables and a little hot water to the consistency you want. Partially cover and simmer until the chicken and vegetables are cooked through. 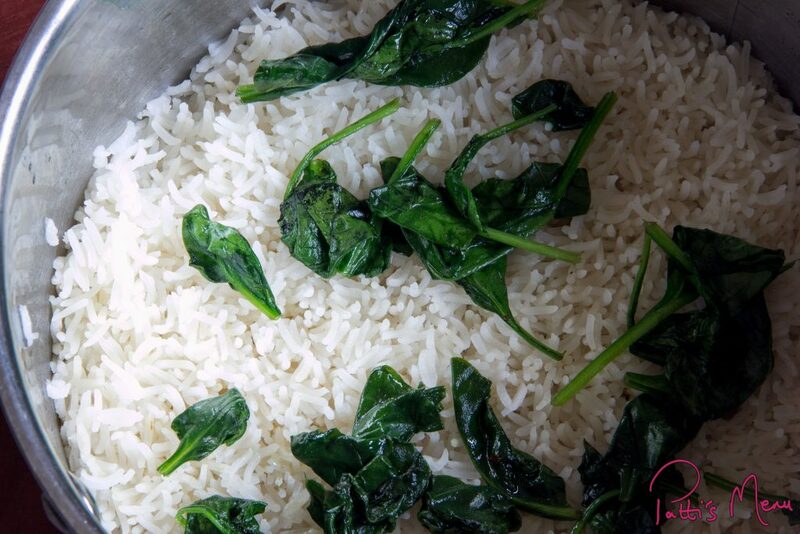 Serve with steamed spinach rice. 1 Reply to "Chicken Zanzibar"